Colorful Notre Dame at night. 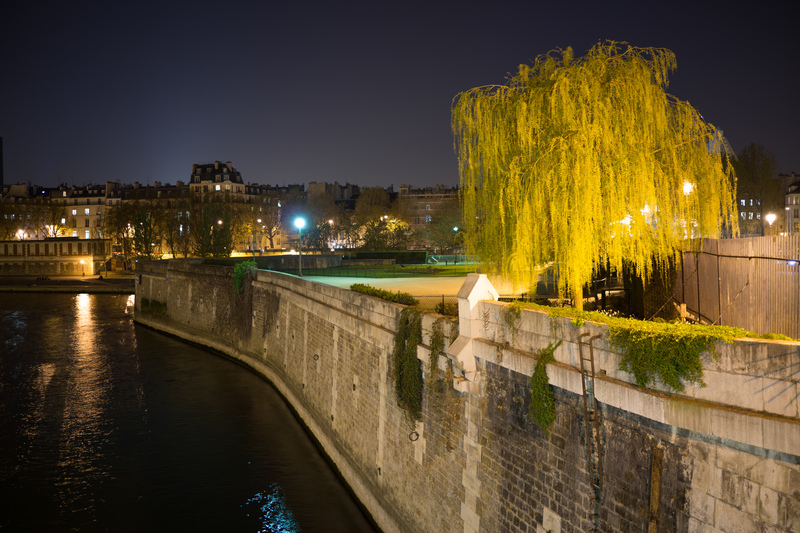 After a fun dinner on our favorite street, Rue Mouffetard (Rue Mo) I grabbed the tripod, walked down to the Seine and took a late night walk around Ile Saint-Louis and Ile de la Cite. 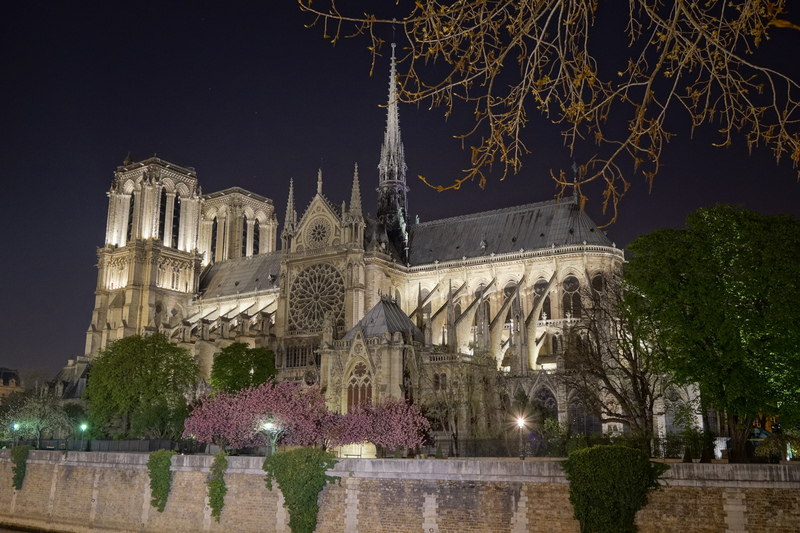 Night photography in Paris is a lot of fun, because so many of the monuments and historical sights are lit up and the streets and sidewalks are nearly empty. Here are a few photos from tonight. If I’m not mistaken the lights around some of monuments are turned off after midnight, so it might be best to plan accordingly. I ended up heading back to the room just before midnight so it really wasn’t a problem. The Deportation Memorial at the end of Ile de la Cite. I’ve always liked this view and it’s one of the reasons for staying at this hotel. At the end of the street is the Jardin du Luxembourg and behind that in the distance is the Eiffel Tower. 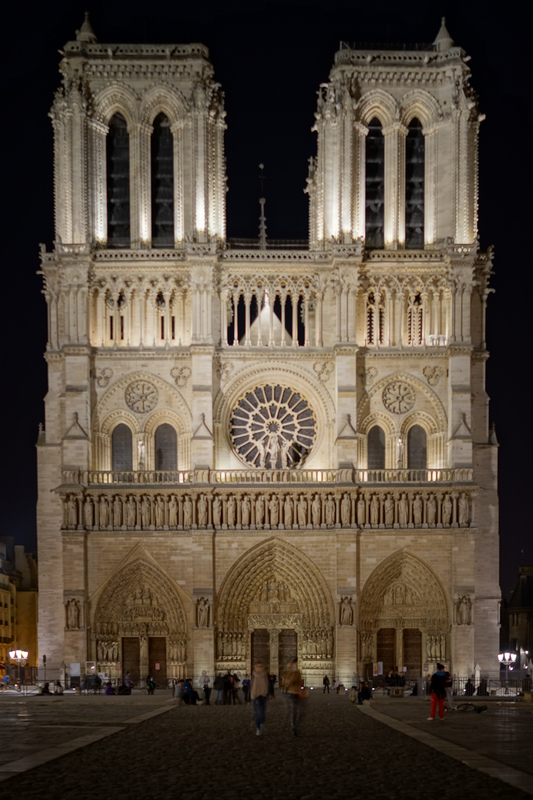 Notre Dame looking rather majestic. I couldn’t avoid throwing in at least one bicycle shot. Just a cool little corner on the bridge connecting Ile de la Cite and Ile Saint-Louis. Notre Dame from the left bank. The point of Ile Saint-Louis with the Hotel Deville on the right bank.